Real Madrid won the 34th Santiago Bernabéu Trophy. Led by a brilliant Kaká, who was chosen as Man of the Match and became the only player to score a hat-trick in this tournament, the Whites didn't only defeat Millonarios in brilliant fashion but also made history twice: they achieved the biggest goal-fest and won their eighth consecutive title. Callejón and Morata, each with a brace, and Benzema contributed to the win and the best possible tribute to Alfredo Di Stéfano. It's the third consecutive victory for the Whites, who remain unbeaten in their stadium this season. With a completely different line-up from that Mourinho sent out two days earlier in Vallecas (only Özil and Khedira, who went on in the second half, participated in the win against Rayo), Real Madrid went out to defend their Trophy. They only needed the first quarter of an hour to prove it. In fifteen minutes they enjoyed five clear opportunities at goal and put themselves ahead on the scoreboard. The Whites completely bowled over their rival, who were defenceless in the face of the home team's onslaught. Kaká, who was particularly active, sent their first warning of what was to come before the first minute of play was up. The Brazilian stole the ball after Millonarios kicked off, he advanced with help from Higuaín but wasn't able to beat the goalkeeper in the one-on-one. Three minutes later he once again displayed his elegant and unstoppable stride, but his left-footed shot from inside the box went wide. Before there were even five minutes on the clock along came the third warning, this time even closer to going in. A cross shot from Higuaín got past Delgado but hit the crossbar. Morata and Callejón also joined in, enjoying attempts at goal. The former's interception of Torres in the 7th was worthy of more but his shot was met by Franco, and the latter's one-on-one after an excellent pass from Özil went to Delgado's gloves in the 12th. Such was the lead up to the match's opening goal. Higuaín overcame the player marking him with a step-over in the left wing, he entered the area, observed Kaká's arrival and sent him a left-footed pass so that the Brazilian could put their first goal on the scoreboard in the 14th. One of this sport's maxims was fulfilled. Once the first goal was netted they just kept coming... four more before half-time. Callejón scored the second, making the most of an excellent assist from Higuaín in the 23rd. The Argentinian, who was captain, had set up the first two goals of the match. A marvellous play two minutes later was worthy of a better finish. The author of the second goal, Özil, Higuaín and Kaká all had a hand and Callejón shot from a volley. The visiting keeper's save was in keeping with the spectacular combination. He wasn't able to repeat the performance with the other three goals that arrived before the end of the first half. Morata scored the third and fourth in the 32nd and 36th. For his first goal he kept a cool head, enduring the player marking him and defeating Delgado. He finished the brace with a shot across goal after a stepover from Kaká and the subsequent assist from the player chosen as Man of the Match. It was the Brazilian himself who scored the fifth in the 38th, cleverly using his back to get in before Lewis Ochoa, who tried to clear the ball from the goal line. The total came to five goals in a first half to remember. Benzema, Modric, Fabinho and Carvalho substituted Morata, Nacho, Varane and Higuaín at half-time and the local team's fluidity of play didn't change a bit. The Whites continued to enjoy opportunities at goal and their dominance led to the sixth goal of the match, the third in Kaká's personal tally. Coentrão was knocked over by Delgado in the area and the Brazilian was responsible for taking the penalty shot in the 60th. Eight minutes later Callejón scored his second, the seventh of the match. After a through ball from Benzema up the right wing and a cross from the French player to just outside the area, Álex cleverly saw the Real Madrid ‘21’ arrive and surprised the visitors' defence letting the ball continue past him. The academy player finished off the play, shooting into the net. It wasn't the last goal of the night. That was scored by Benzema with a shot across goal in the 79th to conclude the goal-fest and the best possible tribute to Alfredo Di Stéfano. Ficha técnica8 – Real Madrid: Adán (Jesús, 73'); Nacho (Fabinho, 46'), Varane (Carvalho, 46'), Albiol (Derik, 73'), Coentrão (Mario, 73'); Khedira (Álex, 61'), Özil (Denis, 61'), Kaká (Mosquera, 61'), Callejón (Essien, 81'); Higuaín (Benzema, 46') y Morata (Modric, 46'). 0- Millonarios: Delgado; Torres, Martínez, Franco, Ochoa; Ramírez, Blanco (Urbano, 73'), Candelo (Vázquez, 63'), Robayo (Ortíz, 63'); Tancredi y Rentería (Cosme, 55'). 6-0 (min. 60): Kaká, de penalti. Real Madrid open Champions League season with a great match. One of the best that can be seen on the continent. The contest did not disappoint. The Whites, who dominated the entire match and had 30 shots on goal, turned around a match in which they twice went behind unfairly with goals from Dzeko and Kolarov. Goals from Marcelo, Benzema and Ronaldo (the last two in the 87th and 90th minutes) and the excellent help of a devoted Bernabéu crowd sealed an epic victory. "I believe that tomorrow we will have team that as well as showing solidarity will be tight and determined ... the team will be the most important thing and everyone will work for everyone. Everyone will feel on top form" said Mourinho. His team, in which Essien debuted, went out from the beginning to try to back up his words. In the 3rd minute Ronaldo sent a warning with a shot from the edge of the area that went wide. The Portuguese also had the home team’s second chance, this time it was much clearer following a counter attack. Passing Kompany his shot was saved by Hart with a great stretch in the 8th minute. It was a phenomenal save by the England goalkeeper, who again showed off his reflexes three minutes later in a very similar play. Ronaldo shot from the edge of the area, but this time the head of Higuaín deflected the ball, but not enough to surprise the visitors’ keeper. The ball wasn’t in Manchester City’s possession very much. Real Madrid recovered possession quickly in the opponent’s half, and the English team looked suffocated by the relentless pressure of the home team. Perhaps that is why the only chances were for the Whites. They had four more before the break. Arbeloa, after a one-two with Di María and a great piece of play, he tried with his left foot and once again Hart made the stop on 18 minutes. There was a double chance three minutes later. An exceptional pass to Higuaín who failed to control the ball, took advantage of the visiting keeper’s clearance before to giving ball to Ronaldo. The Portuguese’s volley hit a defender and ended up at the feet of Khedira who put the ball high. The last two chances, which came after substitution of the injured Nasri by Kolarov, involved Di María. A first class bit of Argentine connectivity with Higuaín, whose shot was off target on 40 minutes. With three minutes remaining of the first half ‘El Fideo’ Di María narrowly missed the target with a long shot. Real Madrid cleared any lingering doubts with a first half in which they dominated and pleased the home crowd with 16 shots on goal (eight on target) compared to one by their opponents. The Brits, meanwhile, could only find the relief from the home team’s pressure with two charges forward from Yayá Touré, who was halted with some precise Whites’ defending, in which Varane, another change in Mourinho’s team, was playing. The second half began as the first ended: with a shot from Di María in the 47th minute and more dominance from the Whites. Real Madrid continued with their attempts to take an early lead and were helped by the Bernabéu crowd motivating the team that until that point the most deserving of the lead. Özil came on for Essien in the 65th minute and Mourinho gave even more bite and vision to his team. Marcelo was close to putting his team in front in the following passage of play, but his shot shaved the crossbar. It was the passage of play that came just before the visitors’ goal. The unfortunate incident happened in the 68th minute. A counter attack started by Yayá Touré and finished by Dzeko beating Casillas one-on-one in the 68th minute. The goal spurred on the Whites, who used all of their substitutions by bringing on Modric and Benzema for Higuaín and Khedira. There was no break in play and the match was continuously end-to-end. Marcelo, the Whites’ best player in the second half, scored for the home team. A great goal for the Brazilian, who checked his run and the edge of the area and his shot back snuck into Hart’s goal in the 76th. 1-1 with 14 minutes remaining. The siege was already at full power. The British team was pegged back inside their area and, from what they showed on the field, they wanted to start their campaign with a victory against the Whites. But just when we thought that Real Madrid had used up all of their bad luck with the first goal, along came the visitors' second goal in the 85th minute. A long range free-kick from Kolarov made its way through the crowd and nobody managed to clear the ball which surprised Casillas. 2-1 to City with five minutes left. The match had not finished. 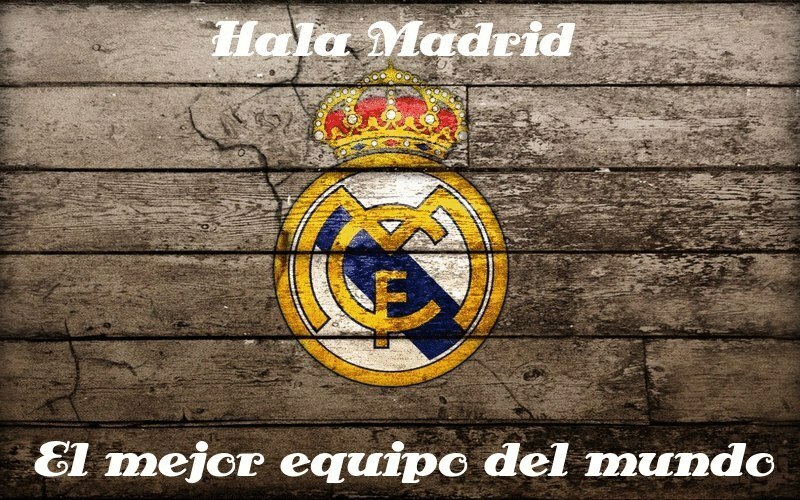 Real Madrid kept fighting for the badge on the shirt and showed their fighting spirit. They took just three minutes to bring the scores level and two more to turn around the result. Benzema levelled the match with a tight shot from the edge of the box and Ronaldo scored the goal to bring justice to the match with a shot that led to the only mistake of the brilliant Hart. Epic victory in their Champions League opener.